Well, since my beloved Georgia Bulldogs lost to the hated Florida Gators on Saturday and we have not scored a touchdown in 8 quarters, I think that I can safely turn my attention to the real dogs–the hunting kind ! We are beginning our third week of hunting season, and the quality of the quail hunting has been excellent. We are continuing to receive rave reviews from our guests who have been exposed to our English Cocker flushing and retrieving dogs. 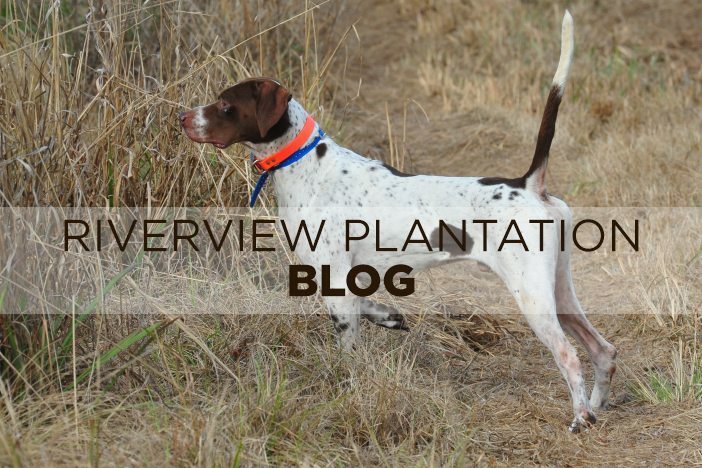 I have yet to figure out how the big pointers and setters are satisfied to do the hard work of finding the birds, and then allow these little dogs to flush and retrieve the quail. However, they seem to be working together as a well-oiled team thus far. Speaking of quail, I always have been a fan of statistics, and we keep quite a good bit of internal records here such as number of birds killed per hunt, number of shells shot per birds killed,etc. Suffice it to say that as we head into the third week of the season, the quail are winning the statistical battle right now. However, our cover is always a little heavier in the fall prior to a series of heavy frosts, and this is not unusual. Perhaps that is one of the reasons I have always enjoyed hunting quail so much in the fall. Not only is it a shade more challenging, but I have a lot more ready alibis for why I missed a bird. I also can fall back on that “tried and true” line we hear so many times in the fall,” I know that I killed that bird, but the dogs can’t find him”.Any of us who have ever guided a hunt has spent hours over the years hunting for dead birds that we were certain had kept flying, but the customer is always right. I have often wished that our dogs could talk since maybe they could convince a guest that he had not cut a feather on a particular quail. Oh well. I do love this business, and I love people. I think that quail hunters are the finest folks in the world. Y’all come see us !